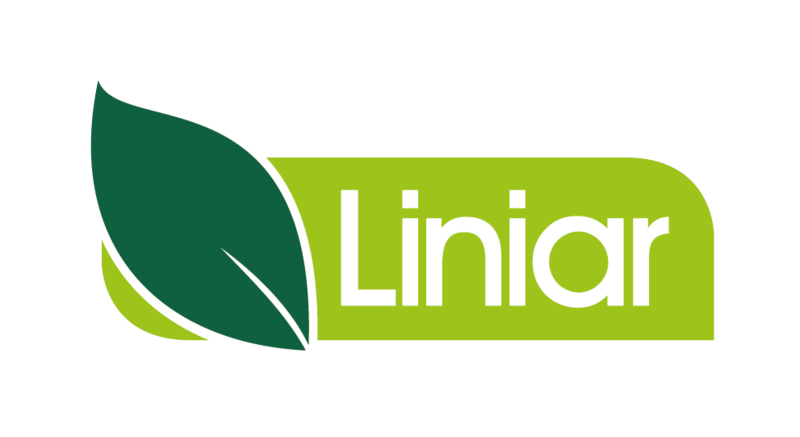 Liniar soffits and fascias are designed and manufactured at the same UK extrusion facility as its range of windows, doors and roofs – using the same high quality manufacturing processes and materials. 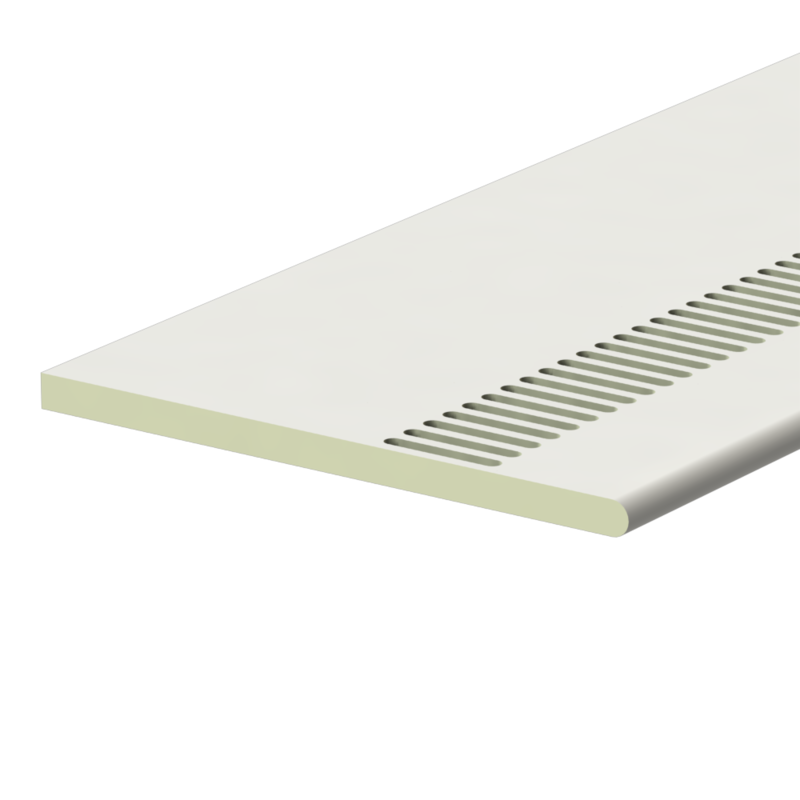 Not only are Liniar soffits and fascias made from the same 100% lead-free uPVC, the foiled woodgrain finishes are factory fitted in-house and therefore match our other products perfectly. 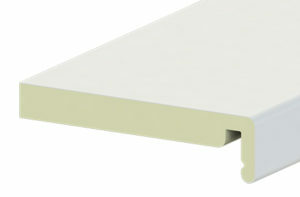 Liniar fascia boards are 20mm thick, instead of the industry standard 16mm, providing greater strength, with longer legs and extra cover on mouldings for easier fitting. 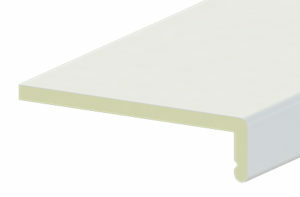 Liniar boards are manufactured using the latest advancements in extrusion equipment and technology to provide a consistent thickness of board with improved flatness. 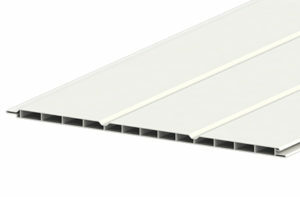 Pre-marked and lined protective tape on the boards makes it easy to find the centre line for the rafter end. The pin guides are set at 100mm centres on each line, and the lines are set at 25mm intervals – to make installation as simple as possible. Should boards need to be cut, installers are guaranteed a straight cut with no need to peel back the protective tape. 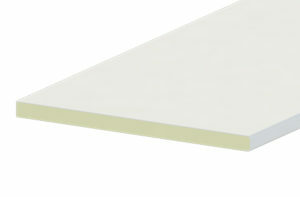 There’s also no need to pre-mark the boards, obviously further installation time, while also preventing the risk of scratching or damaging boards. 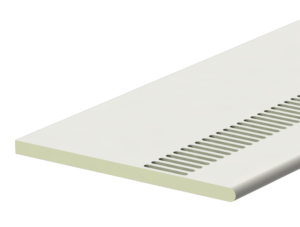 9mm capping boards, 9mm flat boards and 20mm replacement boards have been classified Class 1Y fire resistant with hollow soffit boards achieving Class 2Y.